Recently, students and staff enjoyed a day of nature, science, and hands on learning at Land Lab, which was held on the Presbyterian Farm. 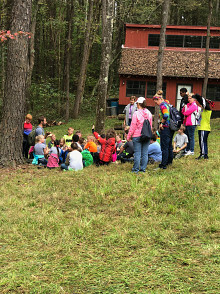 Rural Action provided many educational and fun activities, such as a discovery hike and an insect netting station. Many students expressed how much they enjoyed themselves and that they were looking forward to going back next year. The annual fall carnival and auction was held recently at the school. Children played games while families participated in the auction part of the event. Lunch was also available to families to purchase. The money raised from the event goes back to the students in a variety of ways, including field trips and enrichment activities. Thanks to our PTO, volunteers, and the Union Furnace community for supporting out children. Every day students at Union Furnace Elementary have opportunities to collaborate and learn together. 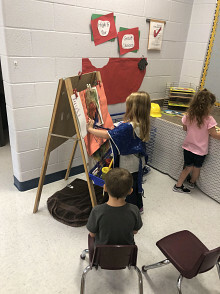 Some activities are completed in pairs, while others are done in small groups or as a whole class. Groups are flexible, occur across various content areas, and are guided and supported by teachers and staff members. Union Furnace Elementary is a great place to learn! Our final week of school was filled with laughter, fun, and family. 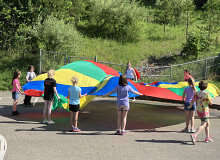 Students participated in many outdoor activities, such as water games and soccer with a giant soccer ball. 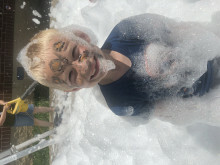 They were also able to enjoy face painting, obstacle courses and Kona Ice. Thanks to our volunteers, many of which were parents, and our PTO for making this happen. It was certainly a great way to wrap up the school year. Dr. Seuss was the center of the activities and themes that the students and staff participated in throughout the week to celebrate Read Across America. 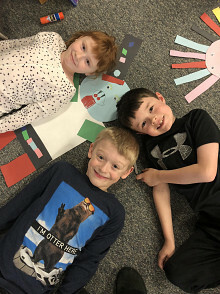 Whether students were eating green eggs and ham, drawing their favorite Dr. Seuss character or wearing their pajamas to school for one of our theme days, the students and staff members had a great time combining literacy with laughter and art.